So I accidentally had two parties this weekend. What, you never accidentally have two parties in the span of 24 hours? Originally my roommate and I were just planning on having a little breaking up party - we've lived together for seven years but are officially moving out next week. So of course we invited people over and played obnoxious break-up songs on repeat. But then the guy who was supposed to host the Superbowl party we were going to had a little problem with pipes bursting in his apartment, so my boyfriend and I stepped in to offer a space. And then spent Saturday morning in a cleaning frenzy. 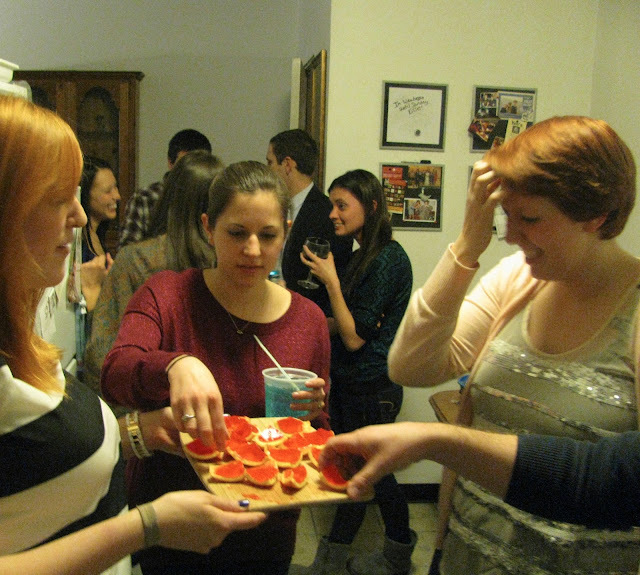 For me, hosting a party always means making jello shots. I've had a special affinity for them since my brother and I were both unemployed and living at home for a couple of months. 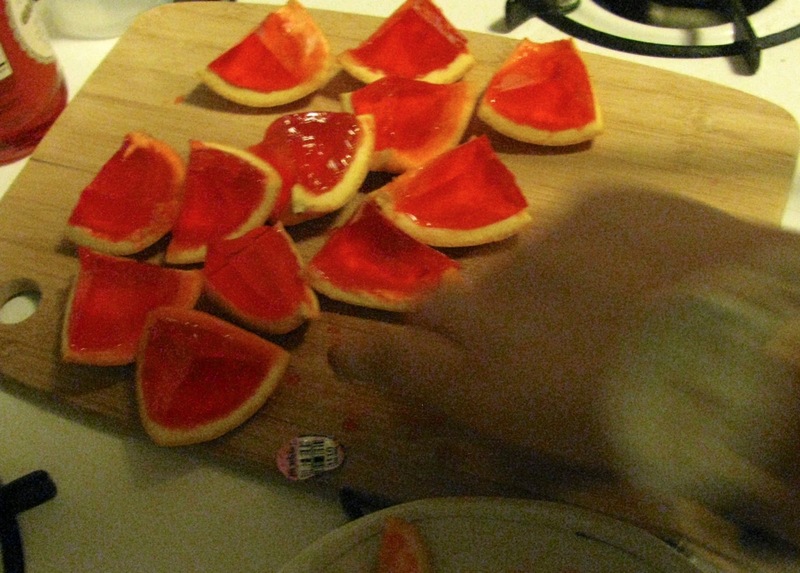 We ended up spending a lot of time shooting nerf guns at each other and perfecting our jello shot recipes. My brother even bought me a set of these awesome jello shot glasses - you twist and pull on the inner cup to get the jello out. Oh, and of course, my roommate and I ended the night with a little Whitney - I Will Always Love You. These pictures are hilarious–especially that last one haha. I've always wanted to try those cool jello shots, so kudos to you for pulling them off! Oh my gosh - that is truly awesome that you hosted two parties this weekend! Love that hospitality to open your home for fun festivities and that you even made jello shots for an impromptu party - much respect for that! Hope you are able to recover this week before the big move. Wow! That sounds like an exciting weekend :) I've seen the recipe around pinterest too and want to give it a try. I am a fellow jello shot addict (of the few recipes I have posted on my blog, 98% of them are jello shots) and actually made a batch this weekend too. Oh my goodness, this is the cutest way to "split-up" with a friend! And what darling jello shots! Looks like an amazing time! Those look delicious! a little whitney is good for the soul! aint no shame in it!